As the Mountain West regular season comes to a close tomorrow night, with a few teams still jockeying for position in the conference tournament, I think it’s safe to say that coach Craig Smith has exceeded all expectations. The Utah State Aggies ended their season the same way they started it, snatching a tough road victory while scoring 100+ points. The win at Colorado State on Tuesday night guaranteed clinched at least a share of the Mountain West Conference Regular Season Championship. Whether they win it outright will be determined tomorrow night as Nevada hosts San Diego State in each team’s final game of the season. If Nevada wins they will be co-champions with Utah State, otherwise Utah State is the outright champion. As I began reflecting on the season, the first thing that came to my mind is that Utah State administration should be planning on giving Coach Smith a raise and contract extension. The man has definitely earned it. The Aggies were picked to finish 9th in the Mountain West and ended up winning the championship posting an impressive 25-6 regular season record. 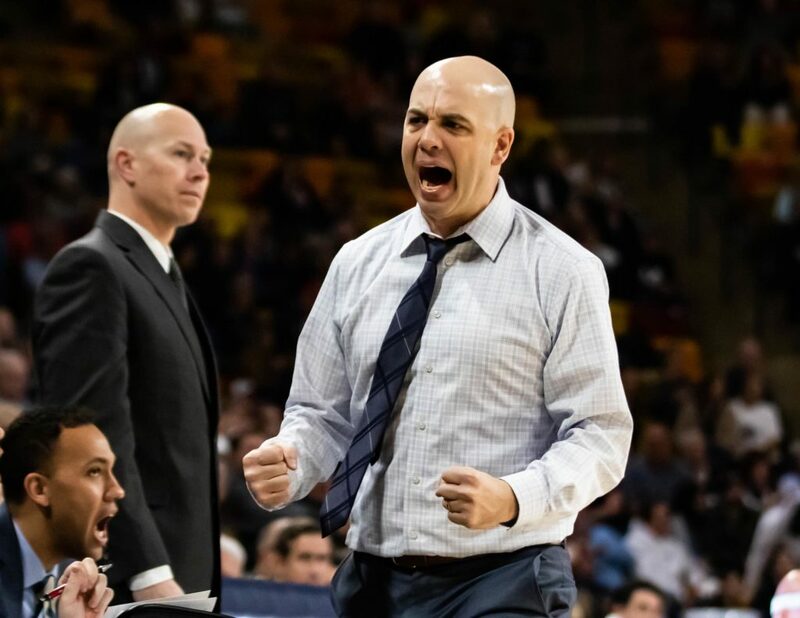 Many believe that Utah State is set to receive an at-large bid to the NCAA Tournament regardless of what happens next week in the Mountain West Tournament in Las Vegas. In many people’s opinions (including my own), Coach Smith is the front runner for the Mountain West Coach of the Year award. So how much is Utah State paying Coach Smith, and what bonuses are included in his contract? I have obtained a copy of the official contract from Utah State University, and here are the details. Coach Smith signed a 5-year agreement beginning on March 25, 2018 and ending on March 31, 2023 (at the conclusion of the 2022-23 season). meaning that only one amount will be paid if the Team is ranked within the Top 25 (e.g. If the team was ranked as 14, then $25,000 would be awarded; NOT $25,000 for the Top 20 AND $10,000 for the Top 25. If EITHER Party (Utah State or Coach Smith) terminate the agreement for convenience (i.e. 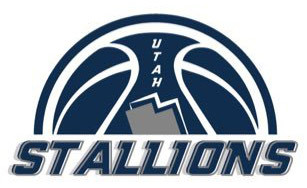 USU fires Smith for low performance or Smith leaves for another position elsewhere), the party who terminates the agreement must pay the other party an amount equaling 75% of the pro-rated amount of base pay still remaining on the contract. So when the contract was initiated that equated to a $2,625,000 buyout. Currently it should be closer to $2,200,000 since most of the first year has been completed and paid. I found this to be an interesting clause as often times there is a set amount for buyout, and the team is required to pay the full amount owed if they fire the coach. I like this arrangement better. It also includes a clause stating that if Coach Smith is fired that he must seek employment elsewhere at fair market rates, and that his payout from USU would be decreased by the amount of his new paycheck. If this Agreement is terminated for convenience by Coach, then Coach shall not for a period of one (1) year after such termination by Coach recruit any high school athlete previously recruited by USU, unless such athlete had been recruited by any new institution employing Coach prior to the notice of termination by Coach to USU, unless otherwise agreed to by USU. Overall, I think that this contract is very well put together. Much moreso than the Tim Duryea contract (we won’t go there). I like all of the bonuses, and really like the buyout and recruiting clauses. There are more perks included in the full contract, that can be found below. So, it’s time to get your lawyers and pens ready, John Hartwell. Once the team finishes off the season (hopefully with a bang) it will be time to extend this contract out and give the man a well deserved raise! It’s that time of year again! Time to try and piece together the team for the upcoming basketball season! We’ve done just that at USUStats.com with our annual “Pictorial Roster“. We’ve got 10 new comers to this team, so there are a lot of new faces to get to know this year. Check it out by clicking below, and feel free to post questions, comments, or predictions on any of the players you see on the roster. Football Season is finally here! And while the first game wasn’t exactly what any of us expected or wanted to see, the Aggies still have a full season ahead of them. Coming up next are the Idaho State Bengals who come to town this Saturday for the first home game of the season! Get out and support our team, and while you are at it look for one of 10,000 copies of The Bangarang – 2014 Football Edition that will be distributed to the crowd. The Bangarang Crew has come up with a few new traditions that will be introduced this year and the newsletter will fill you in on some game day tips that can help create a great atmosphere, help you have a great experience, and most importantly, help the Aggies win! As the five Aggie seniors hit the floor tonight against Wyoming, let’s send them off in style with a Spectrum environment that they will remember. Spencer Butterfield, Preston Medlin, Jarred Shaw, TeNale Roland, and Sean Harris deserve it for the all blood, sweat, and tears they have put in to this basketball program. For a preview of the game and some good ammunition against Wyoming check out the latest Bangarang Issue. It’s been a long time coming, but the UNLV Runnin’ Rebels are making their return to the Dee Glen Smith Spectrum this afternoon. And the HURD will be ready for them. This game marks the renewal of a long time rivalry from the Big West era. While these games were known for many fights, shenanigans, and pranks, the biggest of all was definitely the “Water Bomb” incident in 1990. For those of you who are unfamiliar with this, check out the video below. It’s time to renew this rivalry. Head over to The Bangarang Page, and download the latest issue to be ready for the game! After a minor setback at the hands of the evil BYU Cougars, the Aggies are returning home tonight to face off against their former conference-mate Pacific Tigers. Get ready to get your heckling on, and check out the latest Bangarang Issue for some ammunition. The Aggies are off to a great start at 4-0, and have a big test tonight against the Weber State Wildcats in the Purple Palace in Ogden. The Bangarang has prepared a special edition Spectrum On Wheels Issue for tonight’s game. You can find it, and all previous issues on The Bangarang page. Any Utah State fan that’s been a fan for a few years knows all about a little something we like to call “The Refraction“. Well, with some guidance from the geniuses that put together that unofficial gameday newsletter, we now have a second generation of chaos creators. May I present to you, The Bangarang. A Season Preview Issue was created for the second exhibition contest against Adams State last week, and Issue 1 is now live for the first game of the season against USC. Head on over to The Bangarang and download your copy now!